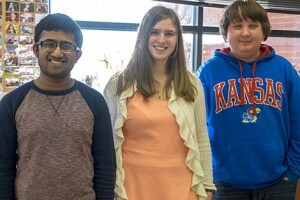 These five students are enrolled in classes taught by Mr. Pavlik, Rebecca Hamman-Hernandez and Grant Charpentier. All five were recognized at the school on Tuesday. 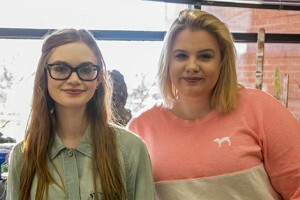 Their work is now on display with the Eastern Kansas Scholastic Art Award Exhibition at the Mark Arts galleries (formerly The Wichita Center for the Arts) through March 5. Gallery hours are Tuesday-Sunday, 1-5 pm, and admission is free. The Scholastic Art Awards is open to all students in seventh to twelfth grade from 70 Kansas counties. The Scholastic Art Awards is the largest and longest running recognition program for young people in the United States.